In late January, Idaho State Police seized 6,701 pounds of a leafy green substance on January 24th from a semi-truck during a Port of Entry inspection along I-84. Police say the product is marijuana by definition, according to Idaho law, because it contains tetrahydrocannabinols, commonly known as THC. The owner of the hemp product, Big Sky Scientific, LLC has filed suit in federal court. This epic seizure case sheds light on the disparity between state and federal law regarding cultivating, transporting and selling hemp and hemp-based products. Idaho is surrounded by states where hemp is grown. Legislators say Idaho is behind in the hemp market and it’s time to catch up. On Friday, legislation was introduced which could create uniformity in law and bring economic opportunity to our state. 1. Industrial hemp is no longer a controlled substance under federal law. It’s legal. But it’s very different from marijuana. As of December 20, 2018, hemp can be grown, transported and sold legally in the United States, as long as regulations are followed and the hemp contains less than 0.3 percent tetrahydrocannabinol. This chemical, commonly known as THC, is the chemical in marijuana that makes users high. Marijuana’s potency, on the other hand is about 80 times higher. In an average recreational shop, the percentage of THC in marijuana can range up to about 30%. 2. Under Idaho state law, any product containing any amount of THC is illegal in Idaho. That means transporting it is illegal too. Another issue is the current definition of hemp. According to Idaho law, hemp is no different from marijuana. Idaho is one of only three states with a complete ban on hemp, according to Mr. Brodeur-Kazanjian of Idaho Farmers for Health, who said it’s time to dispel the myths surrounding hemp. 3. Legislation was introduced to harmonize state and federal law and create a process for hemp cultivation and regulation in Idaho. Representative Caroline Nilsson Troy (R-Genesee) introduced proposed legislation to conform state law to with the changes to federal law, using the same definition of hemp. Troy has been working tirelessly on this issue for years. She said the “game changer” in this effort was when President Trump signed the 2018 Farm Bill into law in December. Here’s a deeper look at the ISP drug seizure and more on the deficiencies in hemp laws. 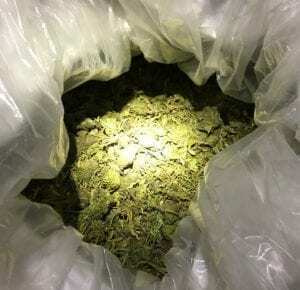 Idaho State Police seized 6,701 pounds of “a THC-containing substance” on January 24, 2019, according to an official news release. The seizure was “the largest of this type in any present-day trooper’s memory,” police indicated in the release. Denis V. Palamarchuk, the 36-year-old man driving the truck, was arrested and charged with felony drug trafficking. If convicted, the mandatory minimum sentence is five years in prison and a $15,000 fine, but he could face up to 15 years in prison and a fine of up to $50,000. 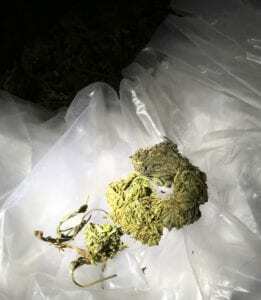 Idaho State Police said they suspect it was marijuana. The shipping documentation says it was “hemp.” Thirty-one large bags were seized after the ISP trooper conducted an inspection of a commercial tractor-trailer rig at the East Boise Port of Entry on Interstate 84. According to police officials, the trooper “observed a green, leafy substance which appeared to be marijuana,” was assisted by a trained narcotic detection canine, and tested a sample with a Narcotic Identification Kit, which tested “presumptive positive” for tetrahydrocannabinol, commonly known as THC. The driver freely indicated that he was hauling hemp, according to court documents, and provided law enforcement with official paperwork showing the shipment consisted of hemp, which was being transported from Oregon to Colorado. “The trooper’s training and experience made him suspicious that the cargo was in fact marijuana, not industrial hemp,” according to the official ISP news release. In a legal document, Ryan Shore, CEO of the hemp company Big Sky indicated the seized shipment would yield approximately $1.3 million in hemp-based product. The load of industrial hemp seized by Idaho State Police exemplifies the growing market for hemp, from which states surrounding Idaho are reaping economic benefits. “We can’t create barriers to commerce. The best solution here is one which allows Idaho to be in the driver’s seat, which is what this legislation accomplishes,” Representative Troy told Idaho Conservatives. On Monday, Mr. Brodeur-Kazanjian of Idaho Farmers for Health told the House Agricultural Affairs Committee that hemp is a good fit to grow and harvest in Idaho. The soil conditions, harvesting equipment and harvest cycle are similar to the requirements of corn and other crops grown in Idaho, he said. Senator Abby Lee (R-Fruitland) agrees. Lee said Idaho has an opportunity to research, cultivate and develop high quality, certified seeds, especially because Idaho has agricultural science education programs already in place. There is a high demand for certified seeds grown in Idaho. A wide range of seeds, including peas, mint, lettuce, radish and onion are produced by Idaho growers. Some are exported all over the world. Corn seeds are exported to Australia and Argentina. Alfalfa seeds are exported to to the European Union. “We’re behind and we have a lot of work to do,” Senator Lee told Idaho Conservatives. Lee is co-sponsoring the Act with Representative Troy. Troy has attempted to introduce similar legislation in previous years, but ran into opposition, including from former Governor C.L. “Butch” Otter, who told her he would likely veto the legislation. “It’s been a long road to get here, not just for me, but for the people of my district, for decades,” Troy told the House Agricultural Affairs Committee. Representative Troy said she believes Idaho is ready to move forward. 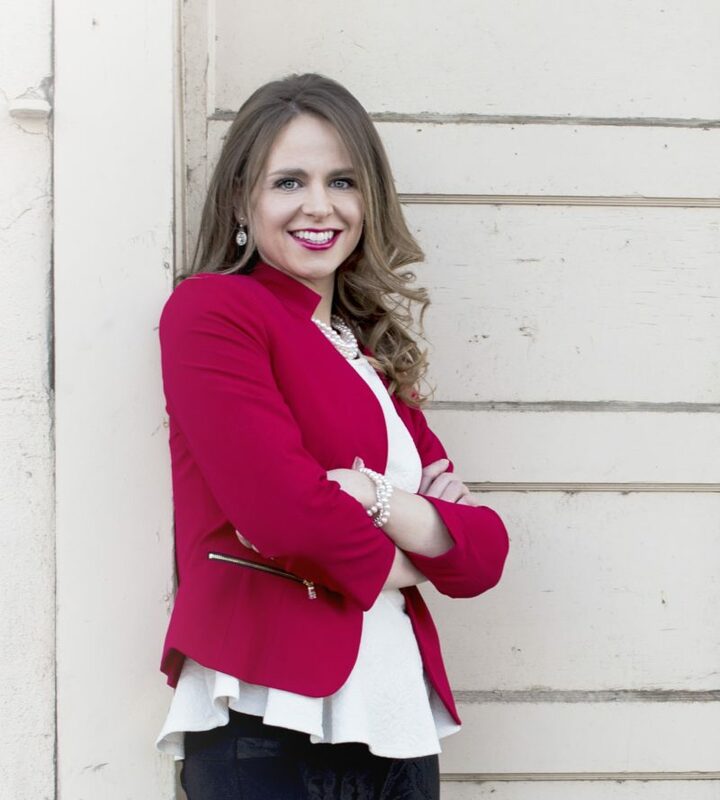 She cites success with hemp research in Kentucky after the 2014 Farm Bill opened the door to the hemp industry. Kentucky is home to U.S. Senate Majority Leader Mitch McConnell and U.S. Senator Rand Paul, who co-sponsored the hemp provisions in the Agriculture Improvement Act of 2018, also known as the 2018 Farm Bill. “We could continue down the same road and do nothing. That means we will continue to struggle with people coming across our border,” said Troy. The new federal law explicitly states, “No State or Indian Tribe shall prohibit the transportation or shipment of hemp or hemp products…” which are produced in accordance with the new federal law. That means Idaho could be tangled in costly court battles similar to Big Sky Scientific LLC v. Idaho State Police if Idaho law doesn’t change. Troy said she worked with potential partners and stakeholders while crafting the legislation. 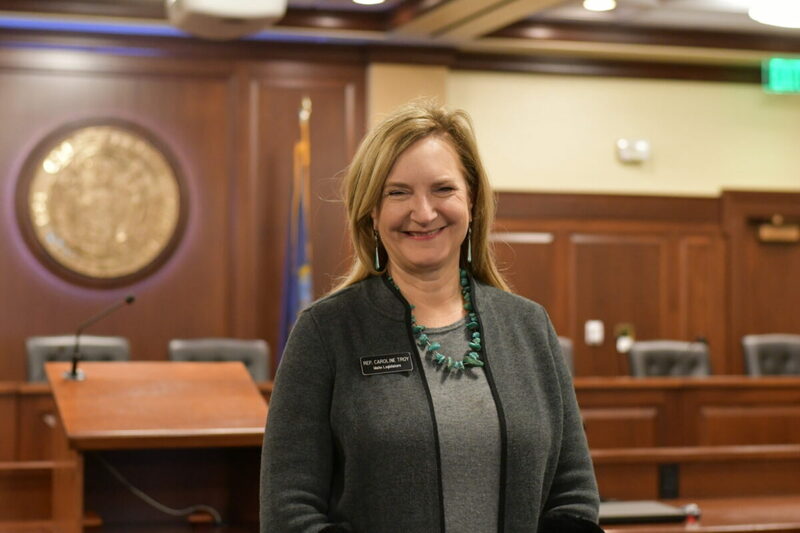 If the legislation passes, she said continued partnerships with growers, law enforcement, educational institutions, the Office of the Governor, the Idaho Department of Agriculture and other stakeholders would be critical to success in the new industry. Rep. Bill Goesling (R-Moscow) said he has received a significant amount of communication from constituents in favor of the bill. “I hope we can get it passed,” he said. Whether the plants Idaho State Police seized are “hemp” or “marijuana” is irrelevant in the eyes of Ada County Prosecutor Scott Bandy, because both are illegal in Idaho and are handled the same, according to Bandy’s comments in a report by KTVB. He said any plant that contains any detectable amount of THC, is classified as marijuana – a Schedule I drug. “The federal changes don’t overrule Idaho’s marijuana law, according to Bandy, meaning that hemp will still be treated as an illegal narcotic,” KTVB reported. What does Idaho law say? Any product with any amount of THC is illegal in Idaho. “Today, the Agriculture Improvement Act of 2018 was signed into law. Among other things, this new law changes certain federal authorities relating to the production and marketing of hemp, defined as cannabis (Cannabis sativa L.), and derivatives of cannabis with extremely low (less than 0.3 percent on a dry weight basis) concentrations of the psychoactive compound delta-9-tetrahydrocannabinol (THC). Which takes precedence: federal or state law? Because state and federal law disagree, and because there’s little case law dealing with the new federal law, it’s an open question. Chief U.S. Magistrate Judge Ronald E. Bush explained the challenge in the clash between Idaho law and the new federal law in the 2018 Farm Bill. “Though industrial hemp is no longer a controlled substance under federal law, states and tribes may declare it to be a controlled substance under state or tribal law. Idaho does not distinguish industrial hemp from marijuana; both are controlled substances under Idaho law.” (See Memorandum Decision and Order p. 3. 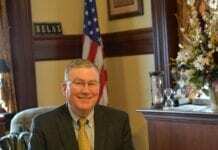 Former Attorney General David Leroy told KTVB, “As a matter of criminal law, Idaho can still enforce its prohibition against hemp, as a matter of interstate commerce in terms of enforcing or trumping a criminal law … so, at this point, Idaho is entitled to enforce its law in Idaho as to making hemp and transportation of hemp, a crime,” he said. “The fact that our criminal laws in Idaho remain on our books does not allow a trucker or anybody else to break criminal law in Idaho, despite what federal law might say about a particular topic,” Leroy said. To Mr. Leroy’s point, driving the truck full of hemp, an illegal substance, through Idaho is currently a crime, regardless of whether the court finds that the interception of the hemp shipment by the Idaho State Police was lawful. Ultimately those decisions will be left to the courts to decide. What should spark a sense of urgency for legislators to act is the unfortunate fate of the driver of the truck full of hemp. Counsel for Big Sky has argued the transportation of the hemp through Idaho was not a violation of the law. However, because of the disparity in state and federal laws, Mr. Palamarchuk will serve time in prison if he is convicted of the felony charge. If the bill passes: The legislature would work to create a state plan to monitor and regulate production of hemp, structurally similar to state plans which the Idaho State Department of Agriculture creates for other coordinated efforts. Requirements for state plans are outlined in the Agriculture Improvement Act of 2018, which include outlining practices and procedures for things like testing, inspections, disposal and enforcement. Idaho’s plan would require the green light from Governor Little before it would be sent to the U.S. Department of Agriculture for approval. If the bill does not pass: Changes to the federal list of controlled substances occur frequently. The Idaho Board of Pharmacy is required by state law to “similarly control” the scheduled substances and to amend Idaho code to conform with federal law, and does so almost annually. Since the new federal law amended “Schedule I” controlled substances to include the language, “except for tetrahydrocannabinols in hemp” (as defined by the law), unless the board objects to the change and follows the procedures in the statue to formally object to the federal change, the Board of Pharmacy would need to address the change in the federal scheduling action. The wheels of justice are turning. Two court cases are pending as a result of the Idaho State Police hemp seizure are in motion: one criminal, one civil. To read more about the court cases, click HERE. Previous articleWhat is the Ways & Means Committee?